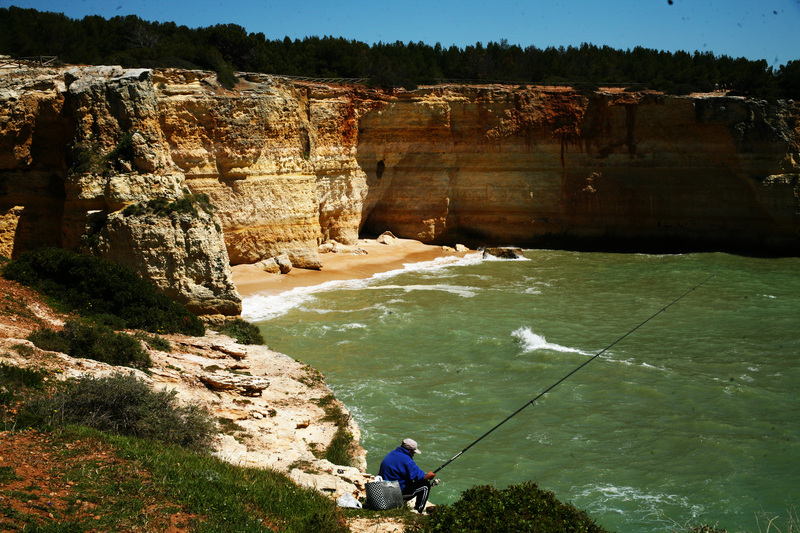 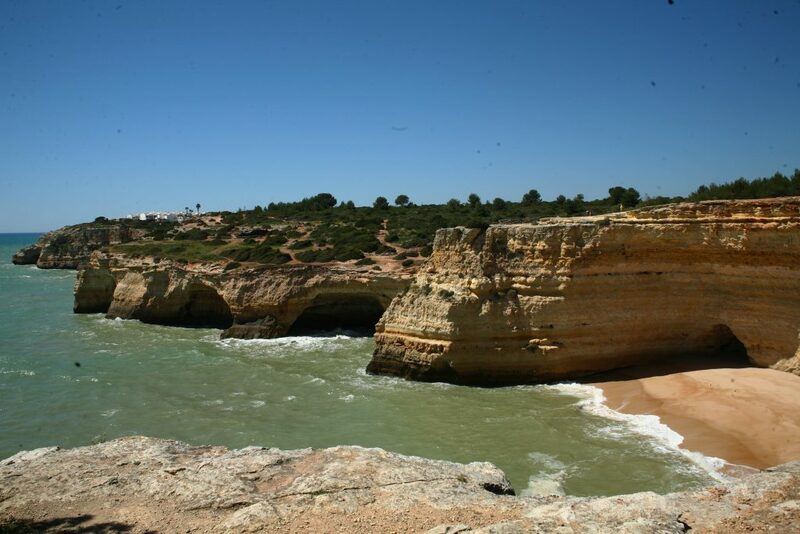 Southern Portugal, the province of Algarve is an absolutely stunning place! 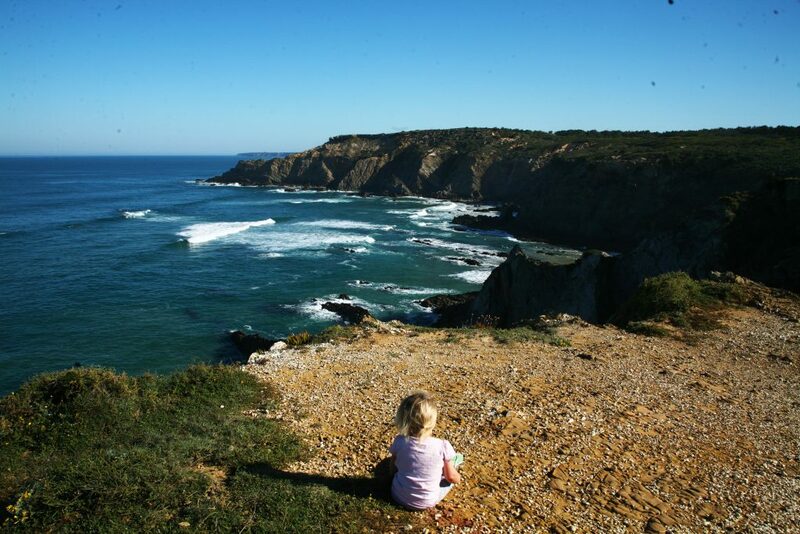 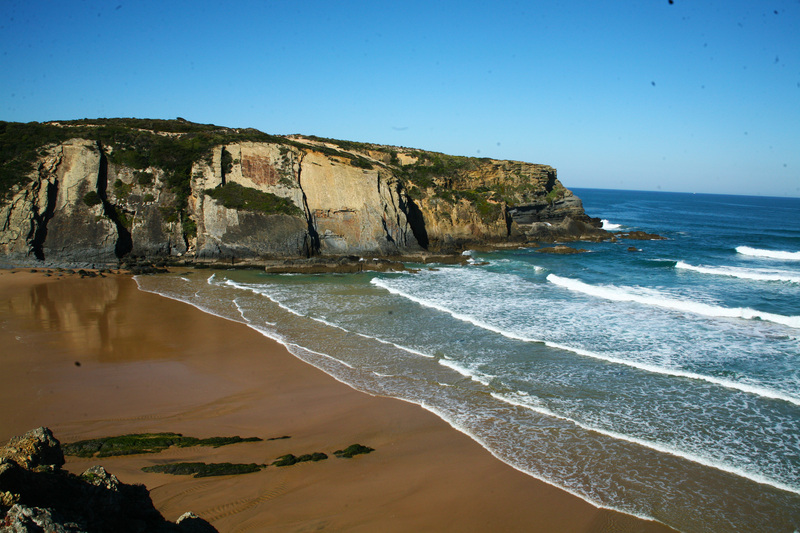 Due to our car breaking down we were forced to stay at only one beautiful beach near Lisbon for 3 days and then rushed through Algavre province on our way back to Spain…quite a bummer! 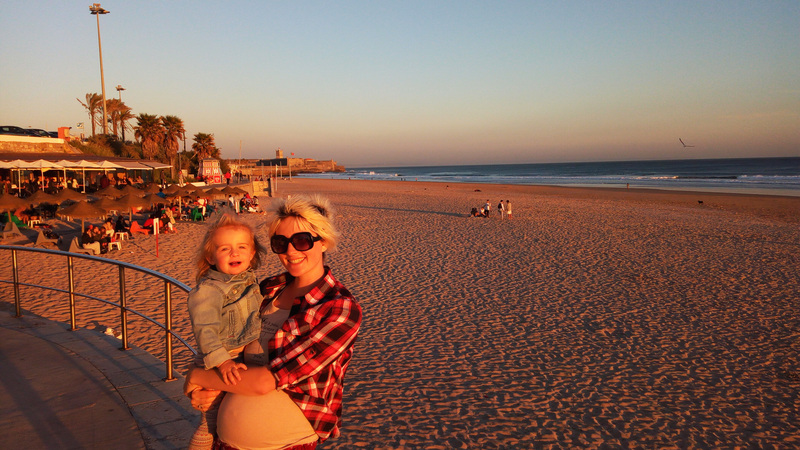 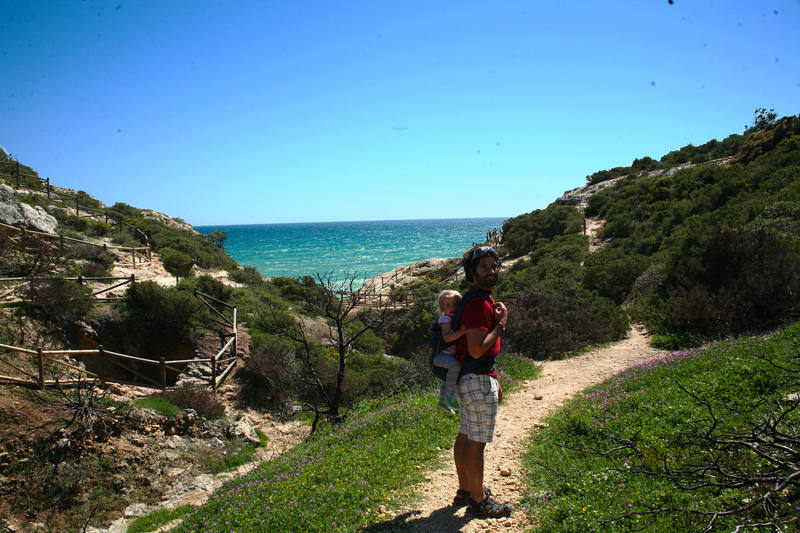 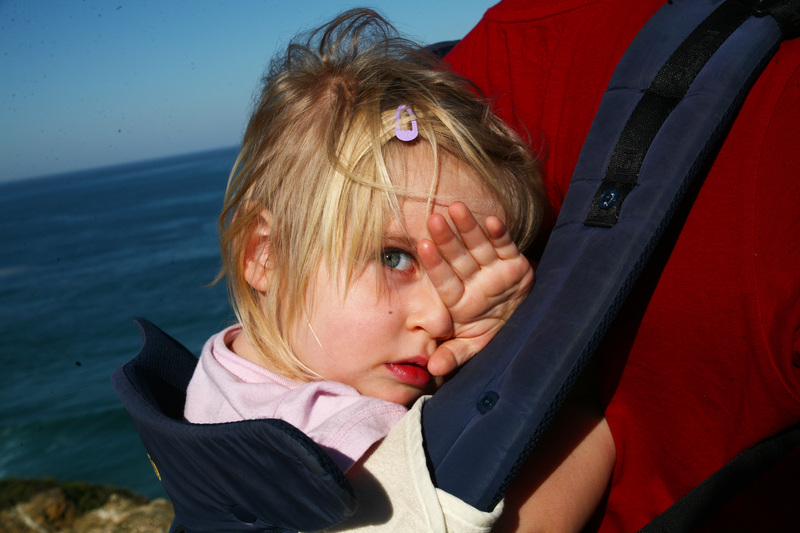 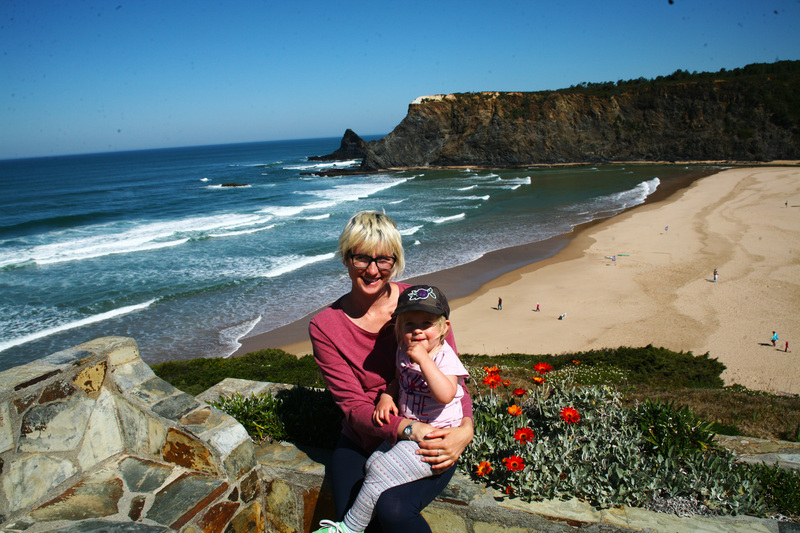 Despite a very short time spent at Algarve we enjoyed every single moment….not to mention that Lia had a blast. 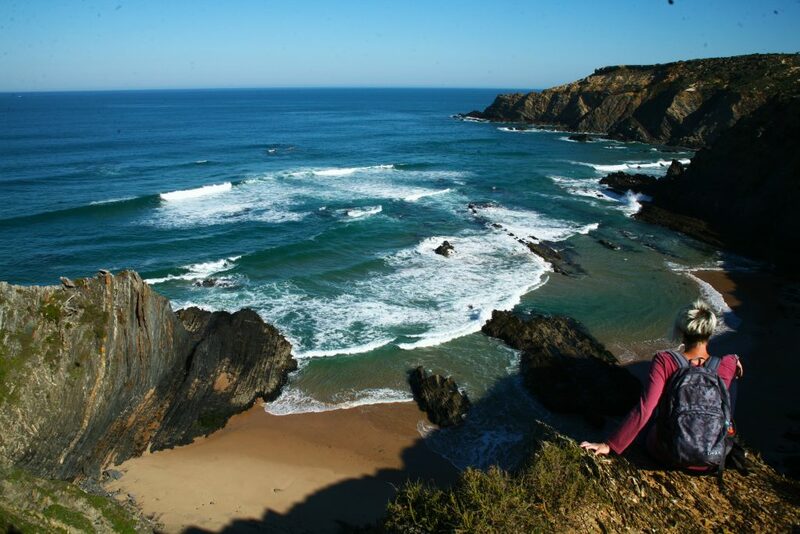 Now we are planning another trip to this beautiful province of Portugal and we will make sure we have enough time to explore all its treasures! 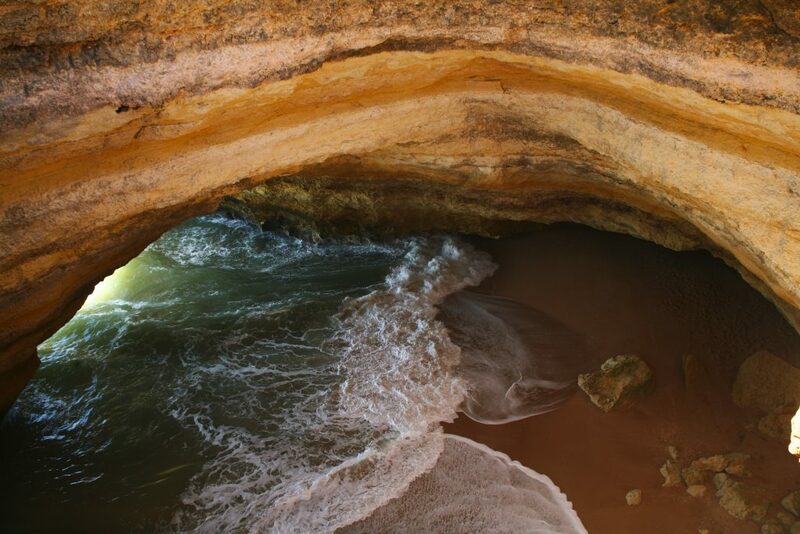 Beautiful Benagil cave. 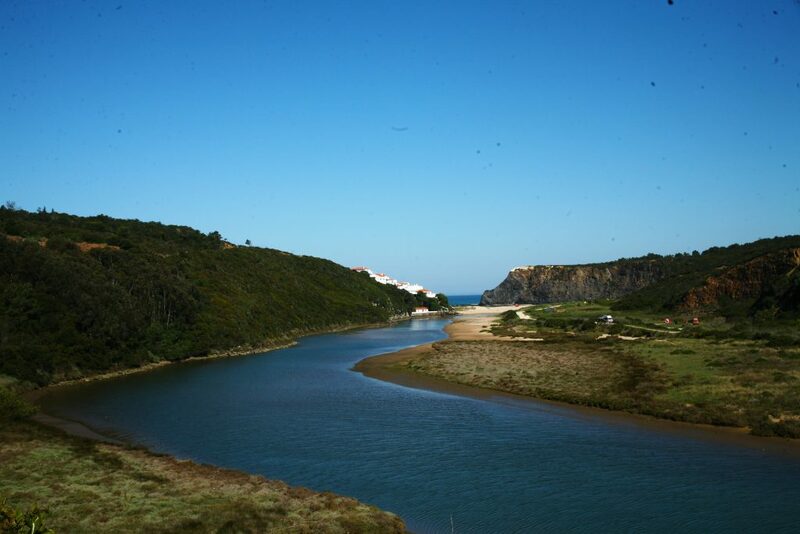 View from the top. 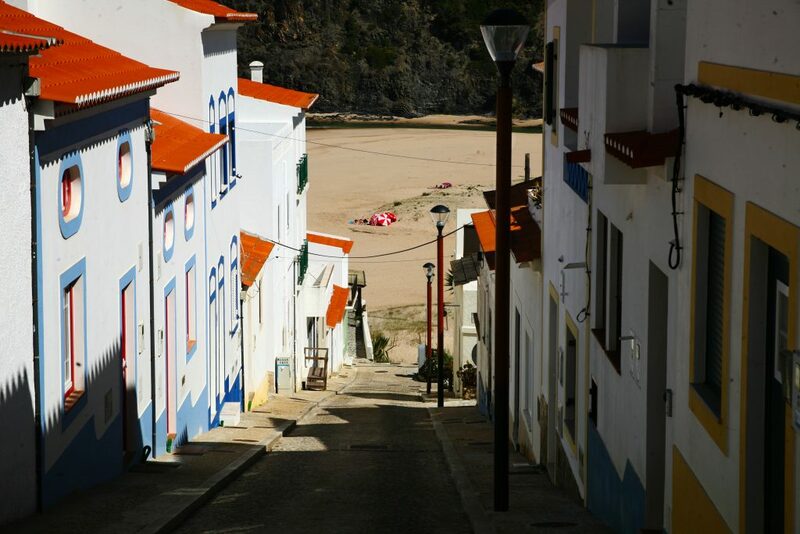 What a beautiful street that leads you straight to the beach..
Algarve is the most picturesque and stunning place in the world. 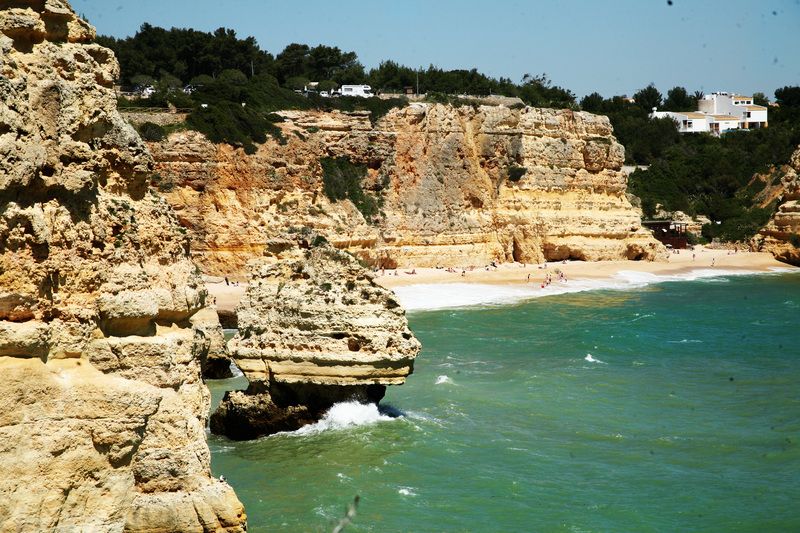 I am amazed of Portugal. Your post really captures the essence of this place!